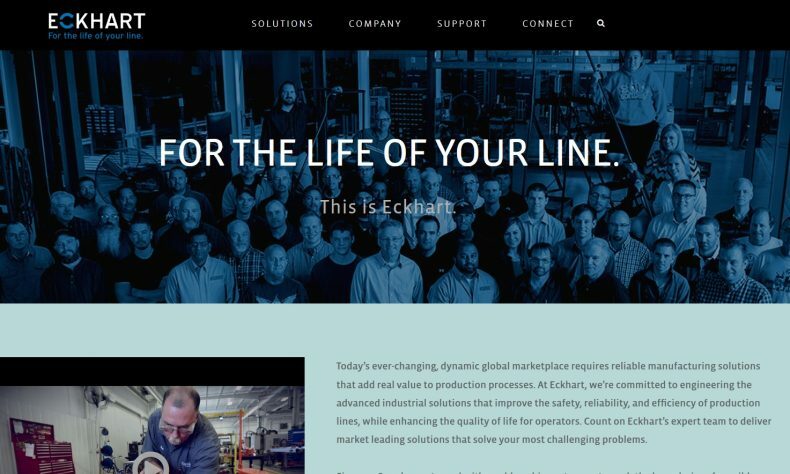 LANSING — Eckhart Inc., the manufacturing technology developer, said it would change the name of its recently expanded Logic Plus controls subsidiary in Reed City to Eckhart. The Reed City location serves large manufacturers with controls, robotics, and automation products and services. All site locations, facilities, and functional teams will adopt the Eckhart name to streamline internal and external communication while also clarifying the company’s brand presence in the marketplace. Eckhart’s controls, robotics, and automation business continues to expand and grow at a record rate, enabling investment in people, technology, and facilities. Since acquiring Logic Plus in March 2018, and in partnership with company founder Jody Zolman, Eckhart completed a facility renovation that doubled administrative office space, tripled manufacturing capacity, and established a dedicated Industry 4.0 technology showcase in Reed City.